For several years now, East London has become more and more popular. This rise in popularity has increased the things to do in East London. The variety of things to do isn’t just for the young and hip but also things for children to adults. The last two times I have visited London, I have stayed in Hackney and really enjoyed getting to know East London, and it is now my preferred area in London. You know you can expect something special in a market that has been operating on the same site for over 350 years. Old Spitalfields Market is a daily open-air market. The market hosts vendors selling art, clothes, shoes, beauty products and much more. Some vendors are small shops, and some are established retailers located in the surrounding buildings of the market. Also, there are plenty of food stalls and restaurants. 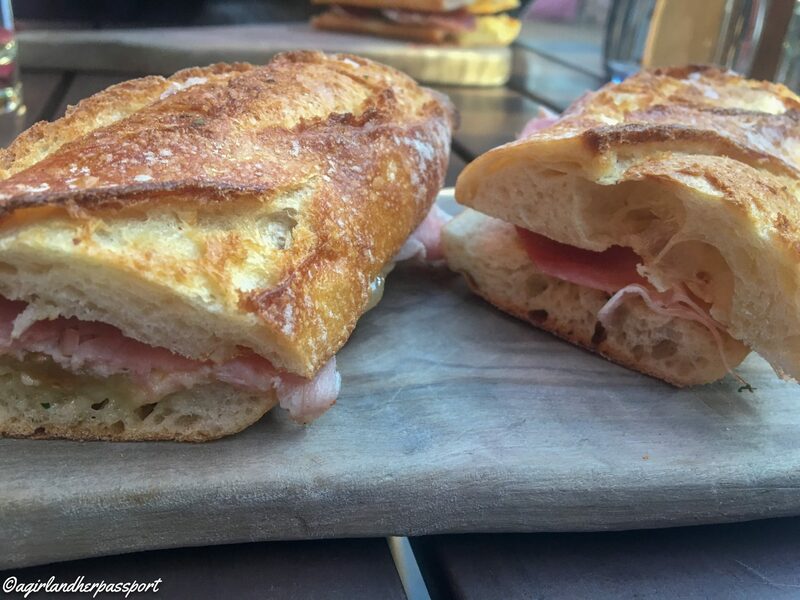 On my recent visit, I ate at a restaurant that specializes in cheese! I opted for a sandwich, but you could also get fondue. Some places have chairs and tables, and others are take away only. You can shop and eat at the same time if you like. Old Spitalfields Market is open every day, although not every vendor is open every day. Brick Lane is actually a street in East London, but it is more than just a street. On Sundays, there is a market. The market will have vendors selling vintage clothes, furniture, and other items. There are some food stalls as well. Live music and entertainment are usually found as well. Last year, I saw a band playing a van! If you are there another day of the week, there are plenty of shops to visit. Also, Brick Lane is home to some of the best Bangladeshi curry houses in London. Let your nose guide you to the curry house as you can smell them from a block or so away! East London is the home of street art in London. 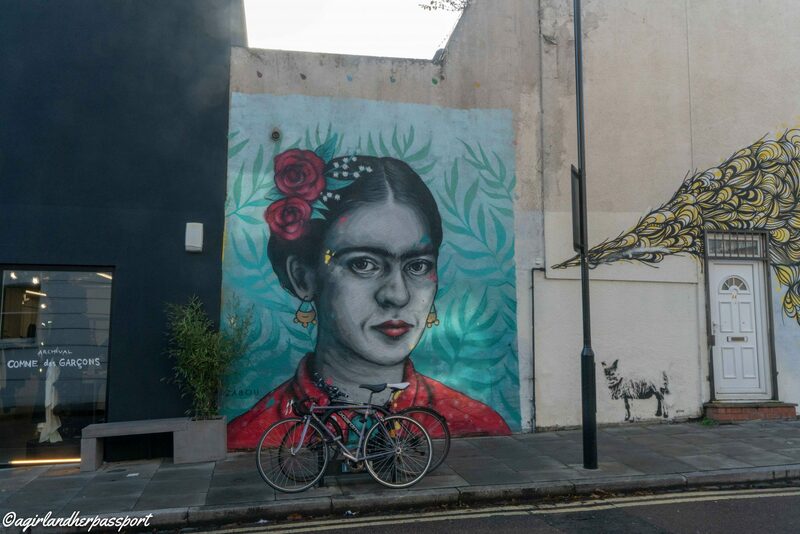 Much of the street art is not far from Brick Lane, but some can be found all around the area. You can see a lot without a guide, but there are some pieces you may not find without help. I recommend taking a tour not only to see the hard to find ones but also to get a better understanding of the artists and their art. You can probably do the tour every year since street art does not always last for long. London Fields is one of my favorite parks in London. It is not as well know as others, but it a wonderful spot to spend the afternoon. It is located in the borough of Hackney in East London. You can reach it by taking the Overground to Hackney Central or London Fields station. The park has a lido with a heated swimming pool that was renovated in 2017. In the summer, people gather here on the weekends to BBQ and sunbath. Parts of the park become wildflower fields in the summer. It is a popular place for people to walk their dogs. Right in the park is a pub as well. 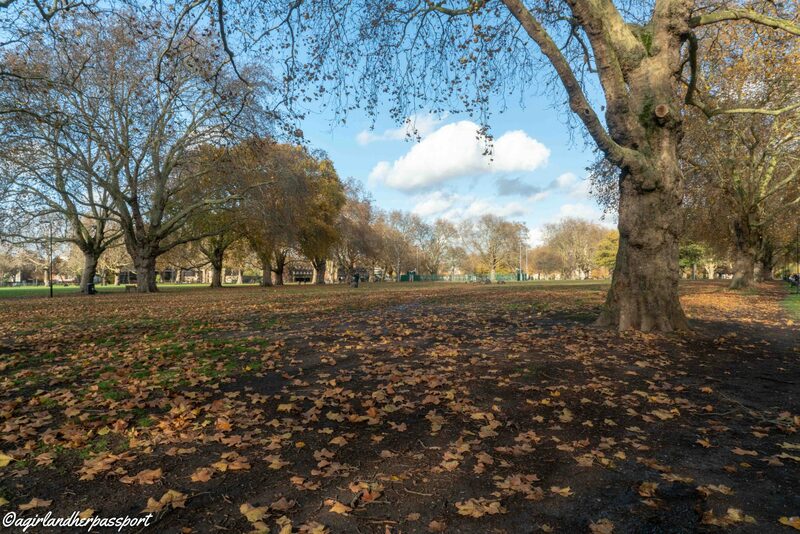 In the fall, the trees are changing color, and people are out enjoying a run in London Fields. There are also tennis courts that can be reserved. You don’t have to go to West London to see a show. 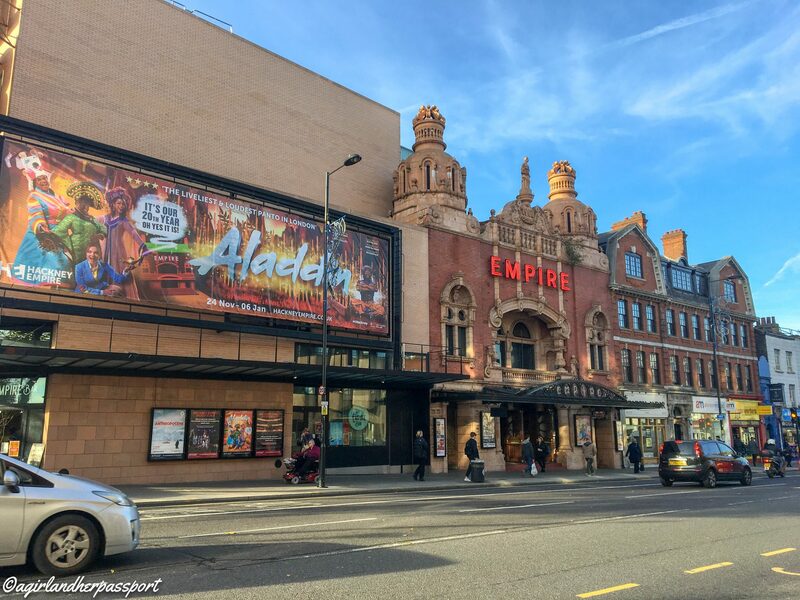 You can catch a show at the Hackney Empire Theater. They show a variety of shows including local talent as well as touring theater shows. The interior of the theater is also something to behold as it is beautifully decorated. It was originally built in 1901 and was reopened in 2004 after a three-year renovation. If you are in London with kids, the V&A Museum of Childhood is a great free option. There are exhibitions on the history of childhood including toys and clothes and lots of daily activities for kids. Next door is the Museum Park. The V&A Museum of Childhood is one block away from the Bethnal Green tube station. Walking along the Regents Canal is one of my favorite things to do in East London. I like looking at the canal boats that are docked there. There is also great people watching as many people run and bike along the canal. You can also see birds enjoying the canal as well. Near Broadway Market, you can see some old oil storage tanks that are not used anymore. There is also some great graffiti on some parts of the canal. The canal boats are required to move locations every two weeks unless they have a private mooring. So another thing you can watch is the boats going through the locks. If you are feeling really ambitious, you could walk the whole 8.6 miles of the Regents Canal! Broadway Market is more than a market these days, and while there is still a market on Saturdays, the whole street is lined with things to do during the week. 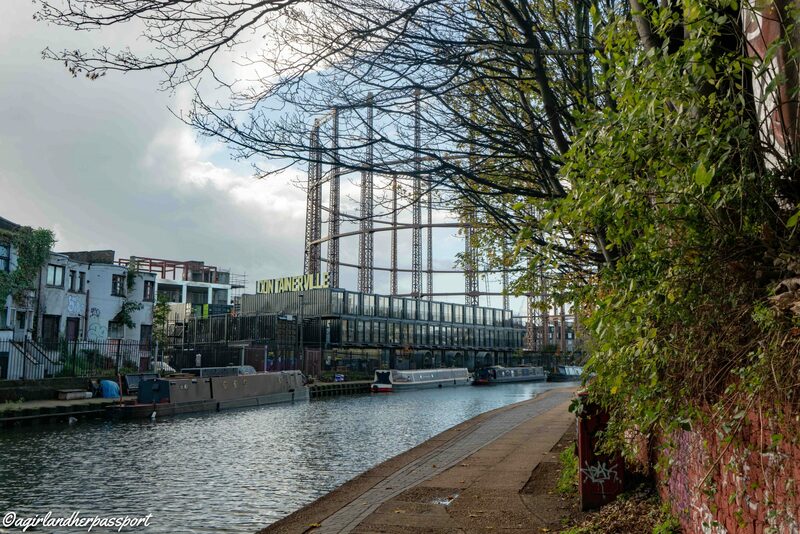 Broadway Market is next to London Fields and the Regents Canal so you could make a day of visiting all three. One of my favorite things to do on Broadway Market on a non-market day is to visit the Broadway Bookshop. They have a great selection of bestsellers and local authors. My favorite place to eat on Broadway Market is El Ganso. It is a Spanish tapas restaurant. The menu changes but is always good. 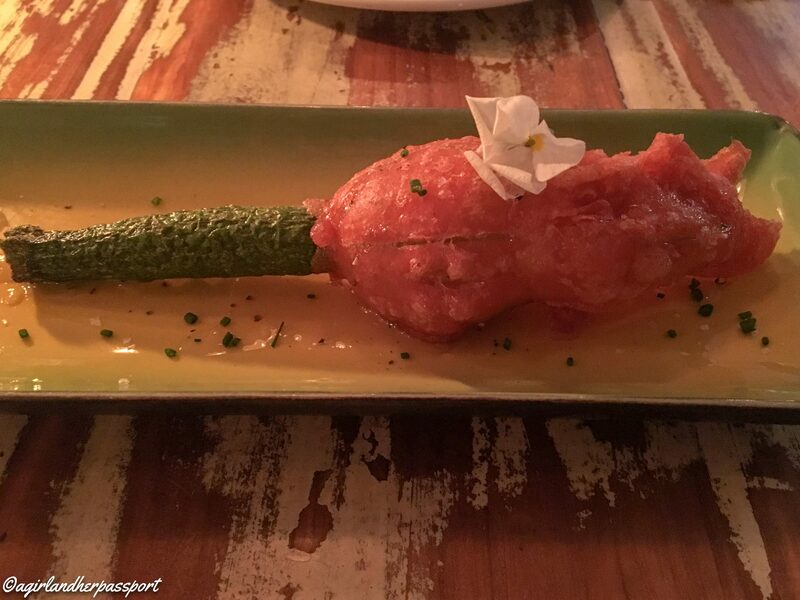 On my last visit, I had a fried zucchini flower stuffed with goats cheese and drizzled with honey! Victoria Park is a large park located in East London. The park has a long history as it was established in 1845. During the early years, there was a large public fountain that gave the local residents access to clean drinking water. You can still see the fountain today. 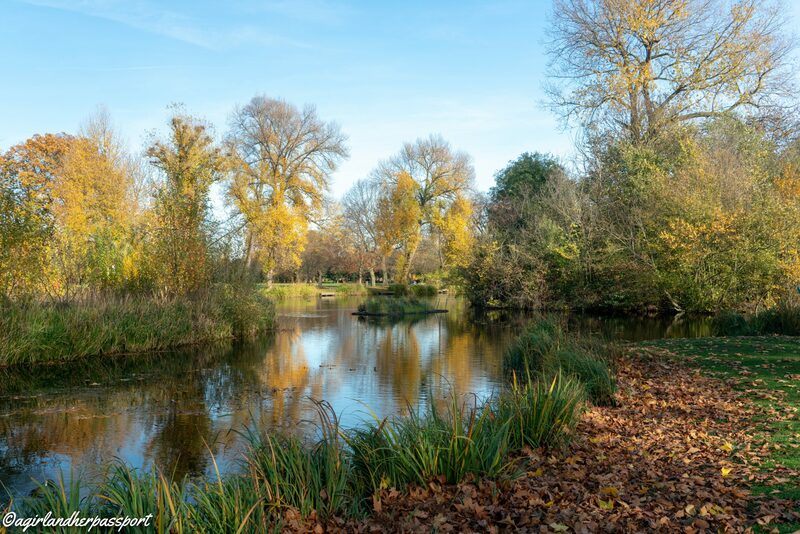 There are several ponds with aquatic birds including swans. It is a great place to walk your dog, have a picnic or go for a jog. The Geffrye Museum is a museum of the home. It shows what the homes in different time periods. The Geffrye also has a fantastic garden located behind the museum. As I was checking their website for updated information, I noticed that the main museum is closed for renovations till 2020. However, the restored almshouse is open on select dates, and there are still events happening at the museum. I look forward to visiting again after the renovations! East London is full of markets, but this one is not like the others. 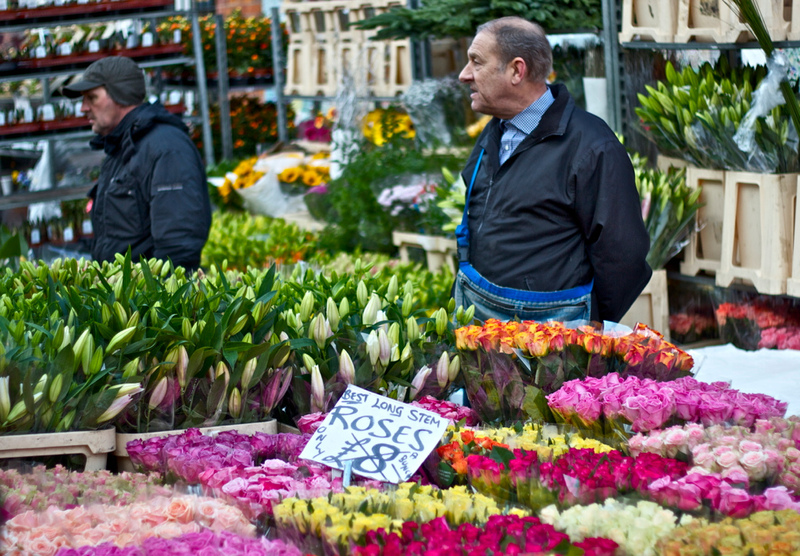 The Columbia Road Flower Market is only a flower market. It only operates on Sundays. If you are only visiting London, you may not want to buy flowers, but it is worth visiting to see how beautiful it is. There are also some great shops to explore along the road that is open even when the flower market is not open. The Hackney Museum is another great place to visit if you have children with you. The museum is located on the ground floor of the Hackney Central Library. Entry is free. The permanent exhibit covers the history of Hackney and most of the displays are interactive and are the right size for kids. 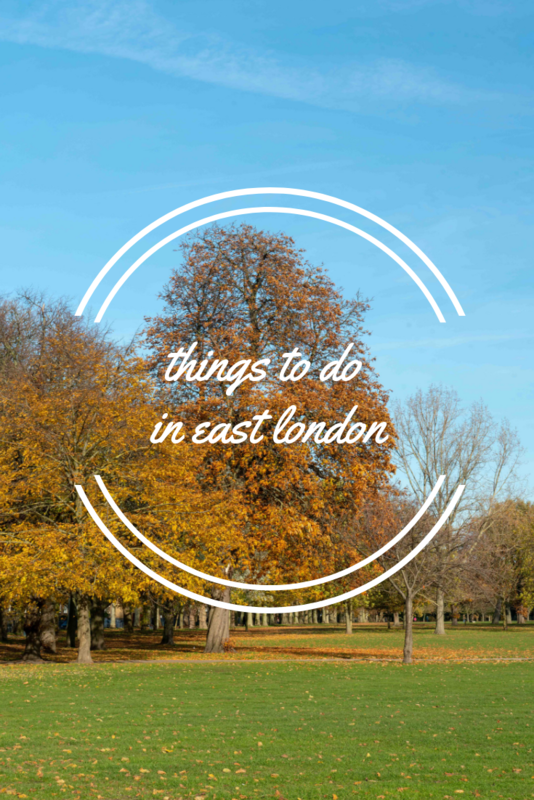 As you can see, there are so many things to do in East London. I hope I have inspired you to explore London beyond the typical tourist locations and explore a neighborhood where Londoners live. Have you been to East London? What is your favorite thing to do in East London? Stay in The East London Hotel for easy access for all things to do in East London, click here for rates! Great post about a great city. Been to a couple of these over the years in East London and making notes now to go to the others. Nice one. Gee whizz, Jonno you are getting around all the bloggers I know!! Yes it is a fab post Tiffany. London still has the ability to draw in all sorts of people! I am back in the US now. That’s beautiful photos I don’t usually see about London! Thank you. Yes, East London is beautiful.